Aruba is famous for their great aloe vera. Their aloe vera is the best in the world and a famous landmark over the past 150 years. Everybody knows that aloe vera does many great things for our body’s. I can remember that moment that I had a really bad wound on my arm because I accidentally hit the oven. 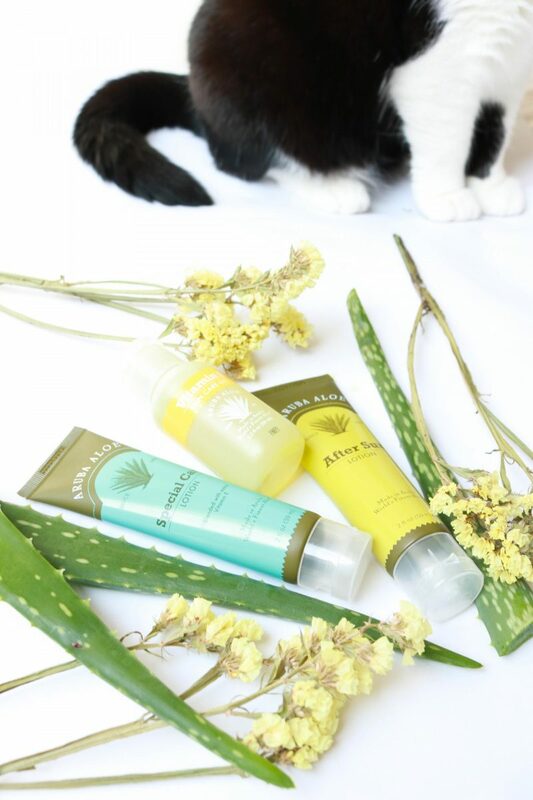 Aloe vera helped to calm my skin from the heat and made the pain fade away, it is a miracle product! That’s why Aruba Aloe created product with only the finest Aloe Vera in the world! 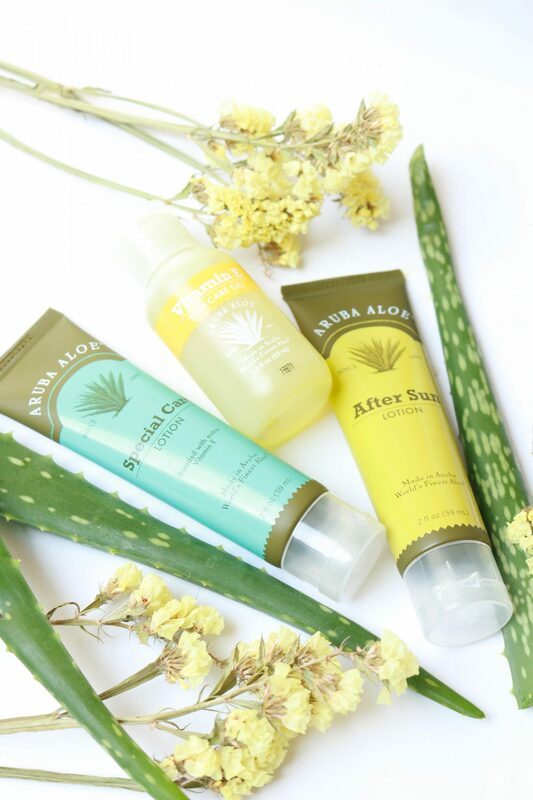 Made in Aruba and only the best aloe vera are picked for their products. 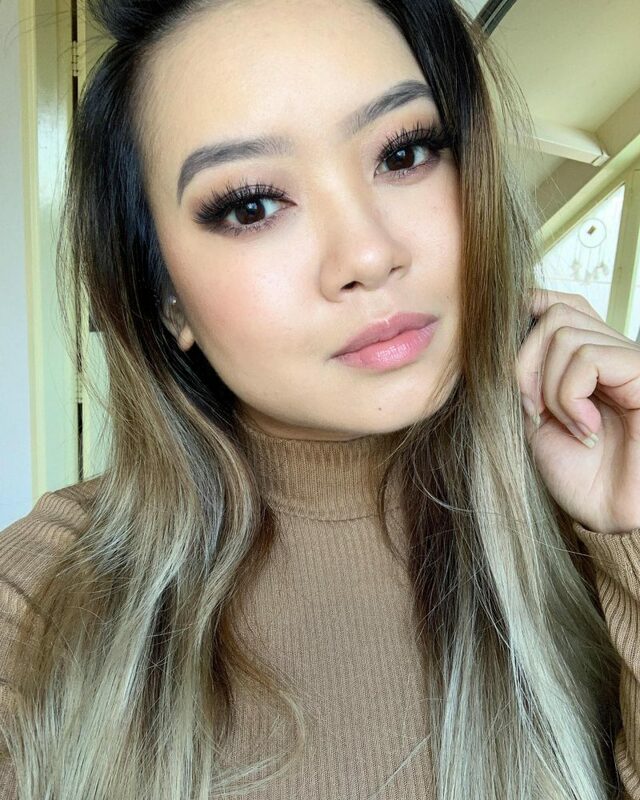 When Aruba Aloe asked me if I wanted to try their products I was super curious, because everyone can use some aloe vera for their skin right? You know those moments when the sun suddenly start to shine. You are all excited to go outside but accidentally forgot to use any SPF on your body. Those moments are the worst. You will end up with bad sun burned skin and maybe impossible to move your body. After Sun Lotion is there for you to cool down the skin after a day filled with sun. 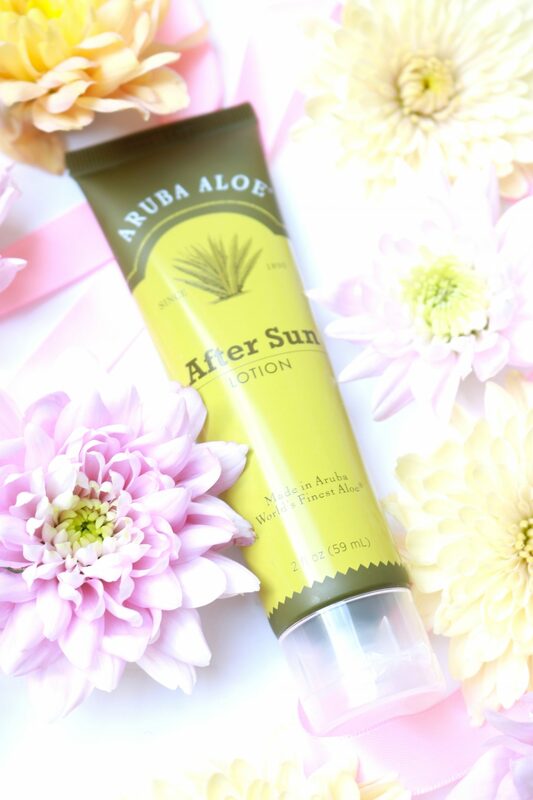 The After Sun Lotion is filled with only the best pure aloe vera with Vitamin E, jojoba oil and coconut. It will help to heal your skin after being exposed to a lot of sun. It gives the skin a cooling effect and helps to calm and heal it. The fresh scent makes you think of a beach with palm trees and a nice non-alcoholic cocktail. The coconut is very easily so smell in this lotion, which makes it even more fun to use (I love the scent of coconut, my boyfriend hates it!). It feels light ons the skin and is easily absorbed with a few wipes on the skin. No sticky feeling after you applied it. I use my After Sun Lotion when my skin feels irritated for example when I just used my micro needle or when I just had a heavy peeling. Just add your After Sun Lotion in your skincare routine everytime your skin feels irritated! This lotion is paraben-free and not tested on animals. Water (Aqua/Eau), Aloe Barbadensis Leaf Juice (Aloe Vera Gel from Aruba), Polysorbate 80, Glycerin, Isopropyl Myristate, Stearic Acid, Caprylic/Capric Triglyceride, Sorbitan Oleate, Cetearyl Alcohol, Phenoxyethanol, Caprylyl Glycol, Chlorphenesin, Sodium Hydroxide, Carbomer, Tocopheryl Acetate (Vitamin E Acetate), Cocos Nucifera (Coconut) Oil, Simmondsia Chinensis (Jojoba) Seed Oil, Fragrance (Parfum), Disodium EDTA. Sometimes our skin can use something extra. Vitamin E helps the skin to remain firm and healthy. It also helps repair tissue and keeping the skin in good conditions. Now you have Vitamin E in a gel form which is just perfect when you don’t want to have that sticky feeling on a hot summer day. 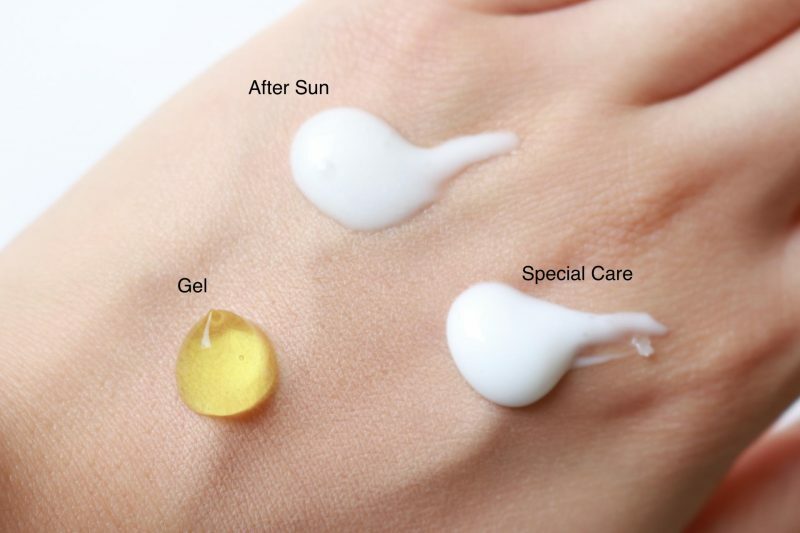 Enjoy the benefits of this great skin care gel. The Vitamin E Skin Care Gel can be seen as a spot treatment or just as a moisturizer for dry skin or when you just shaved your body. This oil-free gel will instantly get absorbed by your skin and won’t leave any residue behind. I use my Vitamin E Skin Care Gel when I just popped a pimple and the skin around it is red and irritated or when I used a pore strip on my nose and the skin is sensitive. 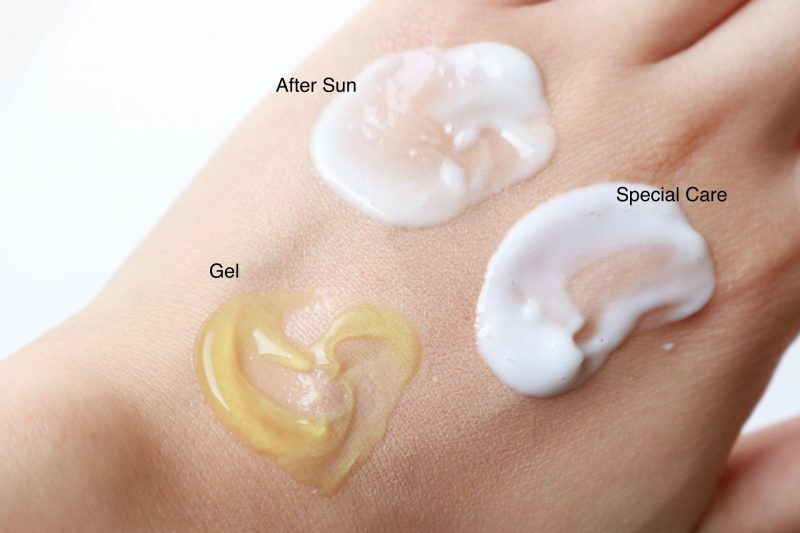 The gel will help to heal the skin and moisturize it. Personally I don’t love the feeling of this gel, I would prefer the other two lotion. I always have the feeling that gels start to peel the moment you mix it with another skincare products. On the other side it does do it’s job: my skin feels more calm thanks to the aloe vera and less red. Use it as a treatment, under your makeup, aftershave moisturizer or on dry skin. 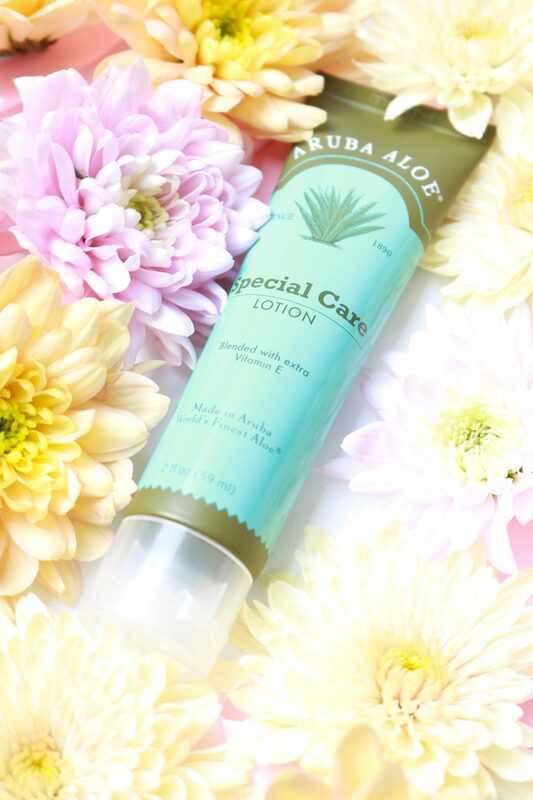 Beside the After Sun and Vitamin E there is also another great aloe vera product that I received from them: the Aruba Aloe Special Care Lotion. The name already says what it does, it is when your skin needs special care. When my eczema starts to show up I love to use this on my neck where the skin can be super dry and almost impossible to turn my head. Aloe vera is a wonderful ingredient that does more than only healing the skin. That’s why Aruba Aloe focused their products on this magical plant that grows all over their land. Use it when you just burned yourself, when you skin is dry or irritated or when you have a wound that needs to heal. I once burned my arm on the oven and aloe vera helped to calm my skin and heal the wound. My favorite item is the Special Care Lotion. The lotion feels super smooth on the skin and doesn’t make my skin feel heavy or sticky. I don’t like the Vitamin E Skin Care Gel because the gel makes my skin feel rubbery. Instead the lotion makes my skin feel plumped and hydrated without leaving a weird layer on the skin. Special Care is your new wonder product because it does so much more than only hydrating the skin: imagine your worst skincare problem, Special Care can fix this! 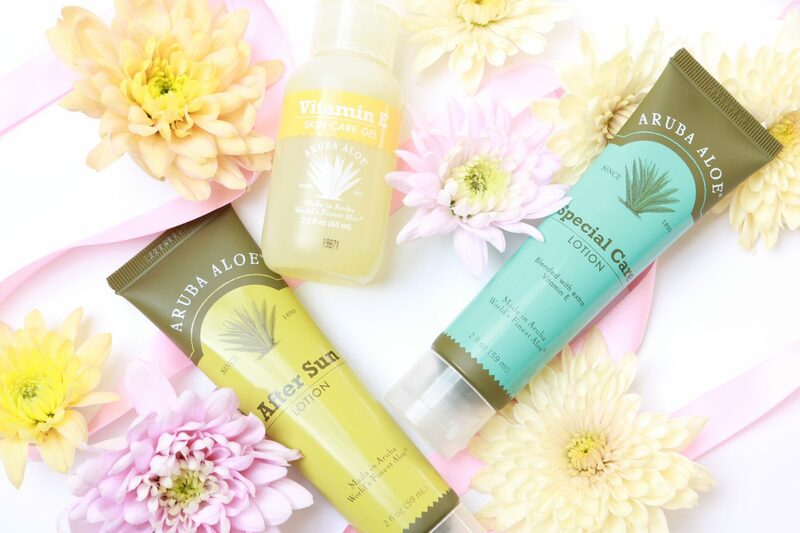 When did aloe vera saved your skin? 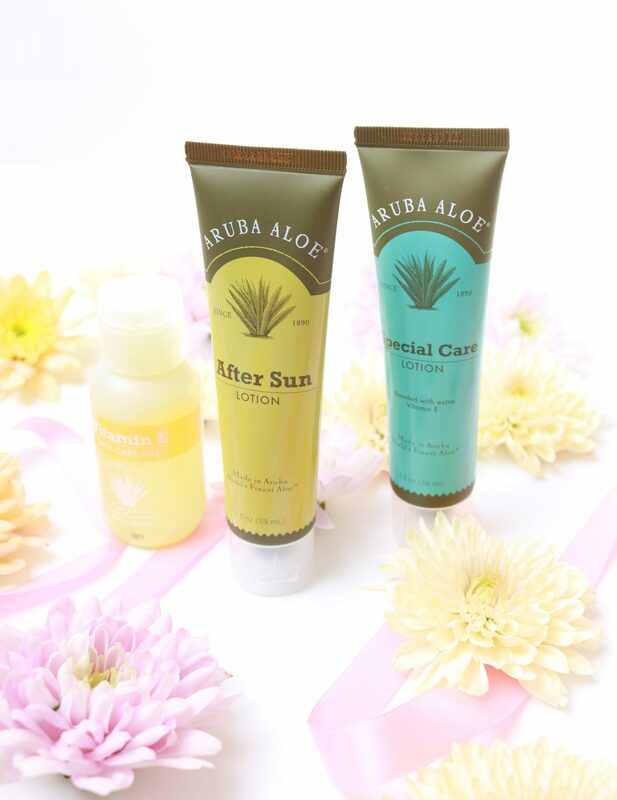 You can get your Aruba Aloe items at their official website. Next Post Spring and summer in your nose! 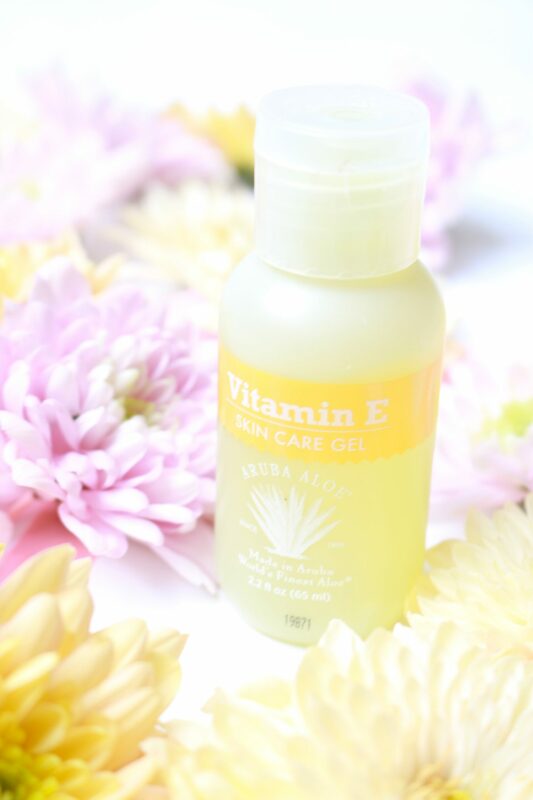 I am loving the vitamin E skincare gel! My skin looks so much calmer when I use this because I have a lot of red spots on my face. It’s also a great primer! I’m curious about the lotions too. This is very genuine blog post in this blog. Thanks for this best posting………. I’ve started using aloe and it definitely helps with redness. But it’s not this brand so I’d definitely like to try! I like that the lotion has coconut.